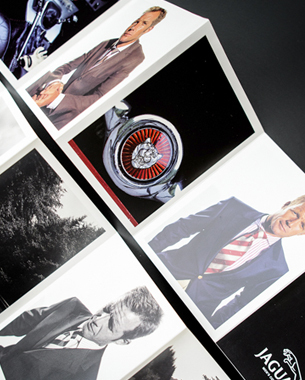 Jaguar clothing required a bespoke fashion catalogue to promote their men’s spring collection. Taking cues from the vintage Jaguar convertibles, a combination of white ‘leather’, matt silver foiling and raw leather cord were used. 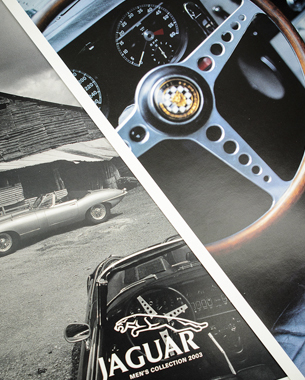 Sleek black & white photography of vintage Jags and colour photography of the garments were used for the concertina-folded catalogue.